I spent weeks getting ready to launch my first self-published book in March 2015. I researched how to launch a book, how to get reviews and how to create an Amazon book description that could get people to buy. In the 30 months since, the book has sold more than 3,800 copies on Kindle, paperback and audible. It’s made over $10,000 and stays consistently on the first page of search results in several categories. It’s obviously not the only book on Amazon about crowdfunding. There are thousands available and that’s not even counting related books on non-profit fundraising and small business funding. How does my book stay in the top ten within the crowdfunding and the non-profits categories? How does it consistently sell over 100 copies a month? Of all the things I did before launching, I think it was learning how to create an interesting and persuasive book description that has made the most difference. A great book description will not only convert window shoppers into buyers but it will also get you enough purchases that your book will stay consistently ranked. I’m going to walk you through the seven critical parts of your Amazon book description and how to set it up. I want to point out each of the most important parts on your Amazon page first and then we’ll walk through each to see how you can set it up. 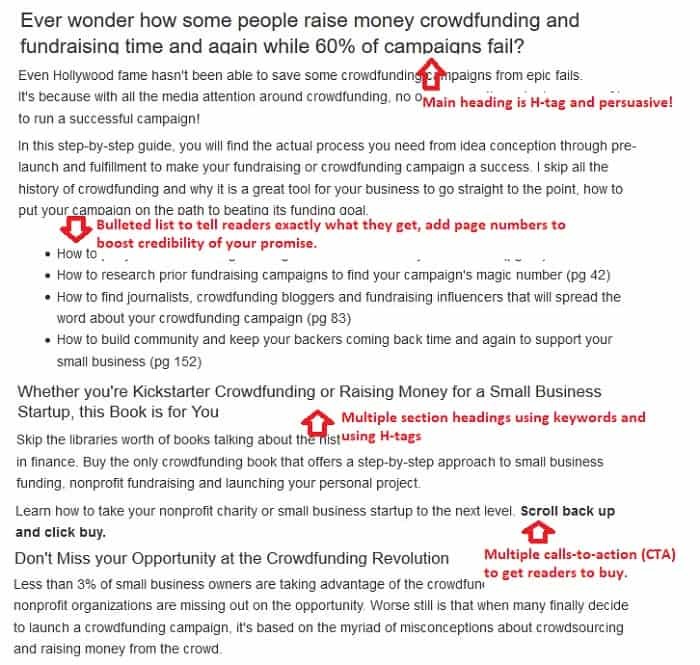 So here is a screenshot of my book page for Step-by-Step Crowdfunding. I’ve removed the ‘People also Read’ and ‘Sponsored products related to this item’ sections for length. These sections come just under the book description and will draw people away from your book if you don’t have a rock-solid cover, title and description. The cover is the first thing people see when they click through to your book. It has to be interesting and professional-quality. Amazon makes the book title and subtitle bolded and in very large font so it’s going to always be something that stands out to anyone visiting your page. It’s also very important for showing up in different searches. The number of reviews and stars you get on your book don’t affect your search ranking directly but are extremely important for converting people into buyers. We’ll cover more about how to get great reviews in an upcoming book launch article. You absolutely need at least Kindle and paperback formats for your book. You can format your book for both in less than an hour and will reach more people. I would go a step further and say you also need an audio version of your book. It’s super easy to create an audiobook and there is much less competition. Some people only read on Kindle, some still like getting a paperback copy. Other people listen to audiobooks in their car or wherever. Don’t lose easy sales because you didn’t take a little extra time to reach as many potential buyers as possible. The book description is way more important than most authors understand. Not only will it persuade people to buy your book but it’s also important in getting ranked for different searches on Amazon. We’ll spend most of the next section setting up an amazing book description. People can scroll down to check out the reviews of your book but why not show them the best reviews first? The editorial reviews section is your chance to really highlight some great reviews from notable readers. The From the Author section is your last chance to reach potential readers on a personal level, tell them why you wrote the book and how it will help them. I’m doing separate articles for cover design, creating different book formats and getting reviews for your self-published book. Picking your keywords and book categories is also extremely important, so important I’ll be doing a separate article for those as well. We’ll spend the rest of this article in a step-by-step to creating a title, description, editorial reviews and author section that will make your book a success. Some of these can be done on the Amazon Direct Publishing platform (ADP), other parts are done on the Amazon Author Central website. The ADP platform is where you will fill out title, description, publishing info, price and will upload your files. Author Central is a separate website where you can track your author rank, customer reviews and set up more page information for each book. The first thing you’ll do when you go to publish your book on Amazon is to put in the title. Amazon allows you to have a title and sub-title. Your title needs to be exactly what is printed on your book but your sub-title can be longer and include more than the official sub-title. This is important because your title and sub-title are big factors in how Amazon ranks your book for different keywords. When someone does a search on Amazon, you want your book to show up if its relevant, right? So your title should be persuasive and include your biggest keyword target, something with a high number of monthly searches on Amazon. Use your sub-title to get in maybe one or two more keywords but also to include other persuasive content through adjectives and a sense of urgency through time-related words. Of course, your title and sub-title need to be relevant to your book and you have to deliver on any promises made. Kindle readers can easily return a book so you can’t just hook them with a catchy title and then give them a crappy book. This is going to apply to your entire Amazon book page but especially the title, don’t do everything in one sitting. Don’t just work through these pieces once and create your page. Amazon let’s you use up to 4,000 characters for your book description. That’s about 600 – 700 words. Use every – single – last – word possible! There are a lot of opportunities for people to click away from your book page before buying. From sponsored books to ads and ‘people also read’ suggestions, you need to use every opportunity you can to convince people why your book is worth their time and money. Your book description is also critical for letting Amazon know how to rank your book in keyword searches. Besides an ecommerce platform, Amazon is also a search platform and billions of searches are conducted every month. You want your book to show up in those searches, right? Well then you need to learn how to use your book description for search. So, let’s walk through the important parts of your book description and how to set each up. First, you’ll need to use an HTML converter on a website outside of Amazon. HTML is the computer language that tells Amazon how to highlight, bold and bullet your description. The box you see on the Amazon Direct Publishing page for your description will take that HTML. A note here, you can also use Author Central to put in your book description but it the HTML won’t work. You want to use the description box in ADP. Finding an HTML converter is easy, just do a google search for ‘Amazon description HTML editor’. These will let you write in your description, add formatting and H-tags and then it will create the HTML code to copy to your ADP page. Writing your description, you want a good balance of information and sales pitch. You’re not just telling potential readers what the book is about but what it means for them, what they’ll get out of it. People don’t buy products, they buy the transformation. That means, anytime you are writing to persuade someone, you need to figure out what the product will do for them and write to that. How will the information in the book change their lives? What will it help them do? While you’re doing this, you want to make sure you hit some key items in your description. Main headline – You’ll write one sentence that will be a main headline and make it an H1 or H2 tag in the HTML editor. This is the first thing people will see in your description and has to catch their interest. Irresistible questions or transformational promises work best. That means ask them a question they can’t resist knowing the answer to or grab them with the hope of an aspirational transformation. Bulleted topics and page numbers – I love this book description tactic. You pick four or five really great references from the book, a few things readers will be super-excited to see, and make a bullet list. 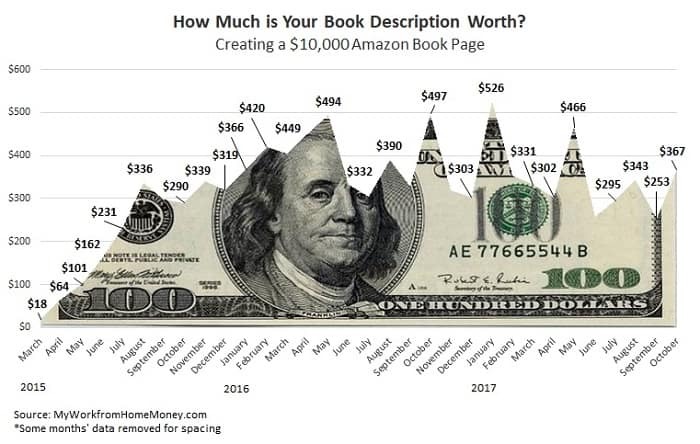 Adding the page numbers where they’ll find the information makes it more than just a sales pitch but guarantees that it’s in the book waiting for them. Section headings – Nobody wants to read one long block of text. Break up your book description into sections just like you would a blog post or story. Like the headline, these section headings should include some of the keywords for which you want to rank on Amazon. Section headings should be marked as an H-tag in your HTML editor, usually one less than your headline either an H2 or H3. Multiple Calls to Action (CTA) – At least twice in your description, have a sentence that tells readers to ‘scroll up and click buy’. It’s too easy for readers to just read through a book description and then keep reading down the page. The problem for authors is that just below the description is two rows of advertising for other books on Amazon. Grab potential readers with your description and tell them how to start their transformation, by scrolling back up and clicking buy now. Common questions and keywords – You want to be answering common reader questions and using keywords throughout your book description. Answering common questions your readers have will help potential buyers see that you know what they need and have the answers. Using keywords is a must when trying to rank on Amazon. You don’t have to stuff your keywords in the description. You’ll naturally be using the words when writing about the subject anyway. Try writing up your description first and then going back through to replace a few words with keywords where they fit. If you’re not able to hook readers with your description, you still have a couple of sections to grab them. Through your pre-launch marketing to friends and connections in the book’s topic, you need to line up a few people that will review your book. This means you’ll send them a draft copy before publishing which they can use to leave a review once your Amazon page is live. I’ll cover more about the launch in a coming article but these people are part of your launch team, helping to spread the word and get reviews. Ask a few of these people if they can email their reviews before launch to put in your Editorial Reviews section of the page. As opposed to the other parts of your page, you’ll use your Author Central account to create this section. Preferably, editorial reviews should come from other experts in the topic. It might be difficult to find someone with name recognition to be on your launch team but that’s what you want. These reviews not only help you demonstrate social proof, that other people have read the book, but you can curate the section so potential buyers see only the best reviews. The last section I usually use for my Amazon book pages is the From the Author note. This is also done through your Author Central account. The ‘From the Author’ section is your chance to reach people on a personal level. Connect with them and show them you’re not just trying to sell a book. Talk about what the information in the book did for you and why you’re so excited about sharing it with others. This is your last chance to talk about the transformation that will convince readers to buy your book. I see so many authors spend months making a great book and then try to rush through their book description page. I know the feeling when you’ve spent so long working on a book and just want to launch as soon as possible. Resist the temptation to skim over these last crucial pieces in your self-publishing journey. 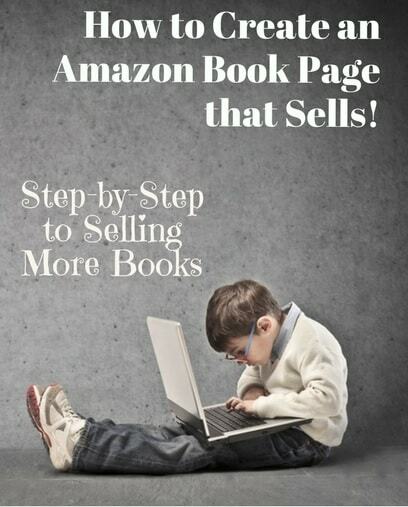 Thousands of people a month are going to be coming to your Amazon book page. You want to convert as many as possible to readers and the only way to do that is through a great book description. Focus on the transformation rather than the information. People aren’t buying your knowledge, they’re buying what it will help them become. 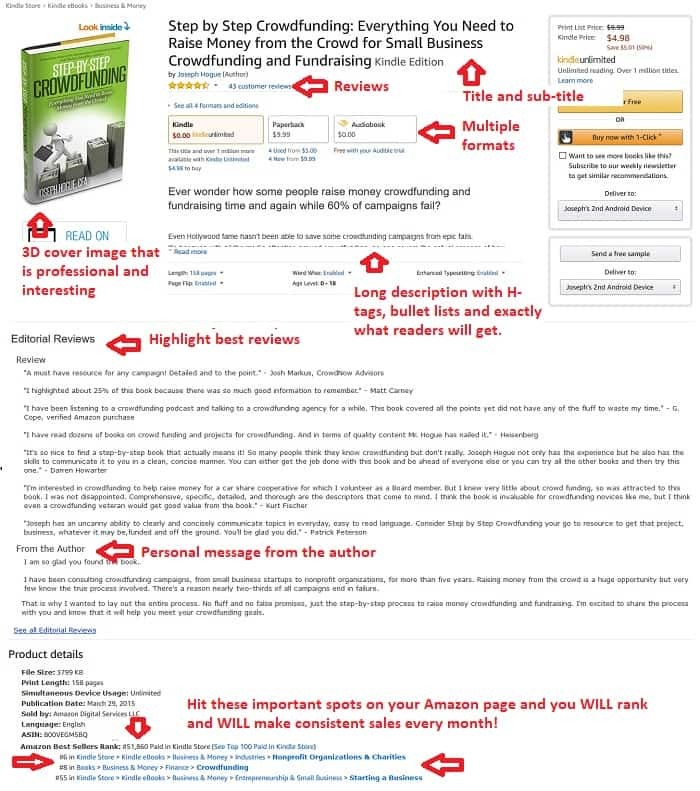 Creating a great Amazon book description page doesn’t happen overnight, it shouldn’t anyway. Write through the sections but spend a few days coming back and reviewing until everything’s perfect. A strong book page will convert readers for consistent sales, helping you stay ranked in your categories after your launch. That’s how I sell hundreds of copies a month for each of my books and your best bet for success.